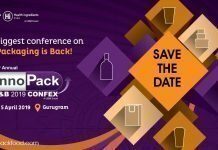 Thorough research about macro and microeconomic factors influencing growth of the egg packaging marke suggests that the market will expand at a CAGR of over 6% during the forecast period, representing a healthy growth outlook over coming years. Molded fiber provides an integrated structure with suitable rigidity and stiffness which makes it suitable for shock-proof performance. Also, molded fiber trays have good air permeability and hygroscopic ability, which plays an important role in egg packaging and storage. However, the price of molded fiber is comparatively on the higher end as compared to plastics. In addition, plastic trays are reusable and washable. This is a key factor why plastic is preferred over molded fiber in the egg packaging market. Trays made up of polystyrene offer superior cushioning and protection against moisture and odor. Also, plastic is fungus- and mold-resistant, which marks another benefit over molded fiber in terms of maintenance. Egg packaging solutions available in the market are either egg trays or cartons. 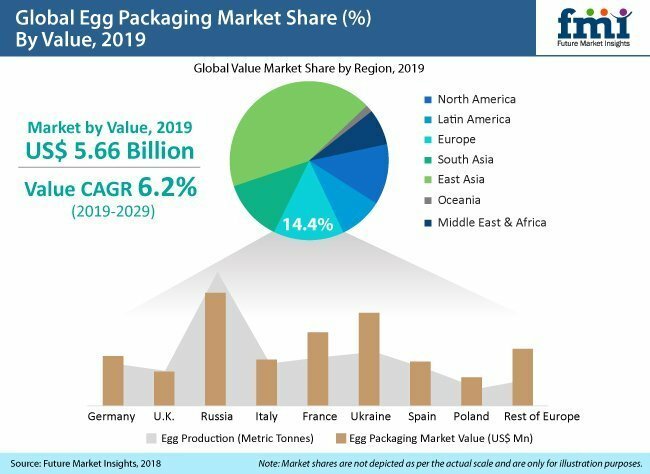 Report predicts that egg packaging solutions in the form of trays will have a lion’s share in the egg packaging market during 2019-2029. This is mainly attributed to the ergonomics of trays. Trays also provide a convenient method for counting eggs. Moreover, special care needs to be taken for cartons made up of molded fiber as they cannot be placed at the bottom as a stack. Higher level of convenience of egg packaging in the form of trays is thus expected to influence the dynamics of the egg packaging market in the upcoming years. In recent times, egg packaging manufacturing industries are witnessing intense competition among regional players. In order to remain competitive in the market, manufacturers are focused on innovation in product design, in terms of shape, size, raw materials and functional properties. Key manufacturers in the egg packaging market such as Huhtamaki are opting for grass-based materials for the production of cartons. Rye grass cartons are another alternative to traditional cartons in the egg packaging market. These cartons are made up of rye grass and cardboard, elevating the sustainability quotient of the egg packaging market. Key manufacturers in the egg packaging market profiled in the report include Huhtamaki Oyj, Brodrene Hartmann, Henry Molded Products, Pacific Pulp Molding, Pactiv, Sonoco Products Company, Primapack SAE, CKF, Biodegradable Packaging for Environment, D&W Fine Pack, Placon Corporation, Mauser Packaging Solutions, Linpac Packaging, Tekni-Plex, Graphic Packaging Holding Company, Genpak, KSP Fiber Products, Al-Ghadeer Group, Guangzhou NANYA Pulp Molding Equipment, Celluloses De La Loire, and Dynamic Fibre Moulding.